When do the flowers bloom in the fields? RoozenGaarde’s update the Bloom Map so that you know which fields are in bloom. Different varieties bloom at different times and the Daffodils bloom before the Tulips. Use the Bloom Map as your driving tour guide. If you would like to take advantage of free parking at the fields, then visit the RoozenGaarde Display Gardens first as your admission ticket also covers parking at the fields. NOTE: Tulip Town isn’t noted on the bloom map. However, you can be sure that when the tulips bloom on this map, you will be seeing blooming tulips at Tulip Town! Display Garden (15867 Beaver Marsh Rd) admission applies to the spring bloom period: $ 10-weekend admission. $ 7-weekday admission. Admission is per person; Children 5 years and under are free. An admission ticket provides free access to ALL parking areas located at the RoozenGaarde/Washington Bulb Company fields. Parking is marked with RoozenGaarde signs. April Hours: Open daily 9 am-7pm. Outside of spring bloom period: Open daily 9 am-6 pm except for Sunday when we are open 11 am to 4:30 pm. Sorry, pets are not allowed. Display Garden and Fields (15002 Bradshaw Rd) is only open to the public during the spring bloom period: $ 10-weekend admission. $ 7-weekday admission. Admission is per person; Children 6-11 $5 and five and under are free. An admission ticket provides free parking at Tulip Town which includes their display gardens and fields. April Hours: Open daily 9am-5pm (later if weather permits). When driving into La Conner, look for us on the right just two blocks from the round-about. You will see the big Visitor Info arrow on the side of our building. The Skagit Valley Tulip Festival includes events happening all across the Skagit Valley. One of the biggest events (besides the blooms) is the Tulip Festival Parade! The 33rd Annual Kiwanis Club of La Conner hosts the parade on April 13th at 2 pm. Step outside your hotel room and grab a spot on the sidewalk to enjoy the parade! For an entire list of events during the Tulip Festival, check out the Tulip Festival Official Program. April – Wednesdays through Monday (Closed Tuesdays) Rotary Club of La Conner Annual Tulip Sales – $5 for 10 freshly cut stems. 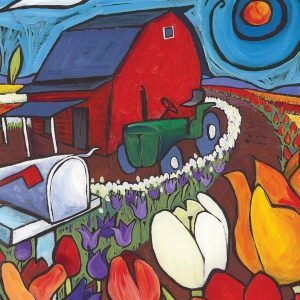 Look for our colorful tulip booths at the roundabout entering La Conner & at the Farmhouse Restaurant. Because of the popularity of the Tulip Festival, be sure to plan your trip wisely and make your hotel reservations before you travel to Skagit Valley! 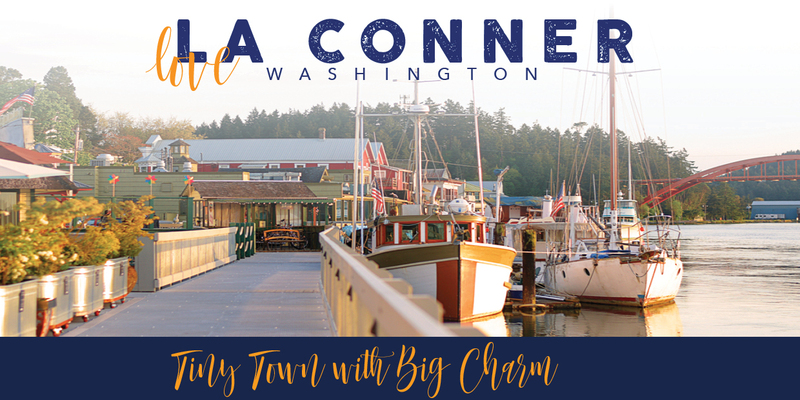 La Conner has a wide range of lodging options from Skagit Valley’s only waterfront lodge to a historic Bed & Breakfast. We strongly recommend making dinner reservations during the Tulip Festival. Leave your car keys in your hotel room when exploring La Conner as all of our restaurants, boutiques and museums are an easy stroll. Don’t miss experiencing the La Conner Historic Walking Tour, Sculpture Tour and boardwalk when you come in from the blooms!